Besides the high leverage, many traders are attracted to the world of retail trading because of the freedom to trade whenever they want, directly from their laptop or smartphone. However, not all markets operate the same way or have the same open market hours. Some of them trade around the clock, Monday through Friday, some are open 24/7 and others follow a strict schedule of open market hours which depend on the exchange. In this article, we’ve listed the main advantages of why trading on weekends can be beneficial to traders. We also reveal which markets are suitable for weekend trading and which are not. We’ll also explain what types of strategies work best trading on weekends. Firstly, Why on Earth Should I Trade on a Weekend? The main benefit of weekend trading is that you’re able to analyse the market in peace. Many retail traders have a day job and are unable to follow the charts and market news on workdays, or they’re simply feeling distracted because of all the obligations they have at home. Weekend trading seems like an obvious answer to those types of traders, but does it really work and are there any cons compared to trading during the week? Bear in mind that trading on a weekend includes much more than simply being able to place a trade. Many traders use weekends to analyse the market, look for trading opportunities and fine-tune their strategies, only to place a trade once the market opens on Sunday (Forex) or Monday (stocks). Which Types of Traders Trade on the Weekend? Traders who have a regular day job and don’t find the time to trade on workdays might be attracted to the weekend trading style. Scalpers who have a short holding period of their trades can also trade on weekends, but only on markets that are liquid enough and open. The cryptocurrency market is a good example of a market that is open 24 hours a day, 7 days a week. On the other hand, Forex scalpers should avoid weekend trading (Sydney opens on Sunday afternoon EST time), as the Forex market can be quite illiquid and carry high transaction costs at the start of the Sydney session. Swing traders and position traders have an advantage over scalpers and day traders since they can use weekends to analyse the market without actually placing trades. Swing traders hold their trades for several days or weeks, which makes the weekend an ideal time to look for potential trading opportunities in the upcoming week. Position traders may find weekends very effective to analyse market fundamentals without distractions. 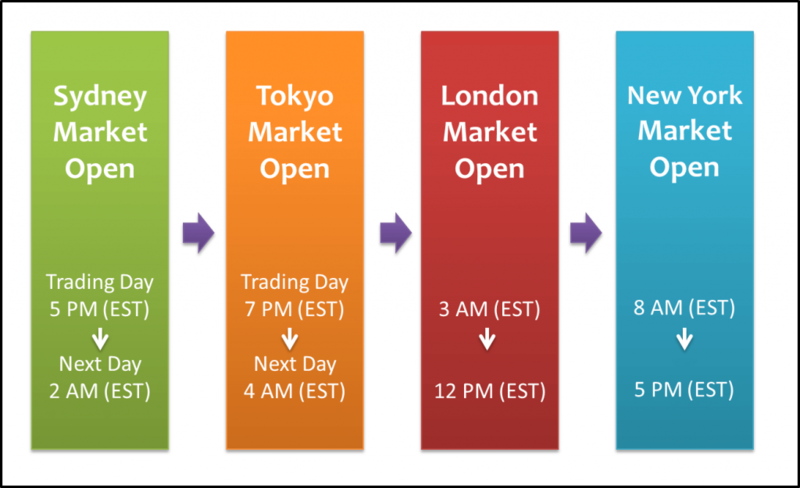 What are the Trading Times of Major Markets? 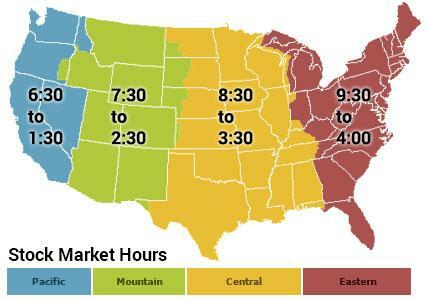 As you already know, not all markets have the same open market hours. To trade on weekends, you’ll need to find a market that is open at that time in order to find a counter-party for your market order. In the United States, the open market hours of the New York Stock Exchange and NASDAQ for regular stocks is between 9:30 a.m. and 4 p.m. EST. While after-market trading hours also exist in the stock market and span from 4 p.m. to 8 p.m. each workday, traders who trade during those hours usually face higher trading costs and less favourable execution prices, which means that you’ll pay more for a stock or sell it at a lower price. Weekends are closed for stock trading, and all you can do is analyse the market from a swing-trading or position-trading standpoint to find potential trade opportunities once the market opens again on Monday. The cryptocurrency market is different. It’s open around the clock, Monday through Sunday and is closed only when crypto-exchanges shut down for maintenance or an upcoming fork. Crypto-markets are well suited for traders who can only trade on weekends. In terms of open market hours, the Forex market is something in between the stock market and the crypto market. Forex is open around the clock, but only Monday through Friday. However, a new trading week begins on Sunday afternoon because of the market’s over-the-counter nature. To understand how this works, here’s a quick overview of Forex trading sessions. Forex is an over-the-counter market in which currencies trade during Forex trading sessions. The most important of them are the New York session, the London session, the Sydney session, and the Tokyo session. Since all those sessions are based in different time-zones, Forex traders are able to place trades around the during on workdays. However, when a new trading day begins in Sydney on Monday, it’s still Sunday in Europe and the United States, which is why the majority of traders can actually trade on Forex from Sunday through Friday. The currency market closes on Friday with the closing of the New York session and reopens with the morning in Sydney and the beginning of the Sydney session. While this means that US and Europe-based traders can place trades even on Sunday, transaction costs are usually high and market liquidity is low in the first few Sydney hours. Regular market hours of the stock market are from 9:30 a.m. to 4 p.m. EST on weekdays, with after-market hours from 4 p.m. to 8 p.m. The Forex market is open around the clock Monday through Friday, and Europe and US-based traders can even start trading on Sunday with the opening of the Sydney session. Cryptocurrencies, on the other hand, are open 24/7. What Types of Strategies Work Well Trading on Weekends? In terms of trading styles and strategies, the best strategies to follow for a weekend trading style are swing trading and position trading. Swing and position traders are not impacted by higher transaction costs since they’re holding trades for a longer period of time with relatively high profit targets. 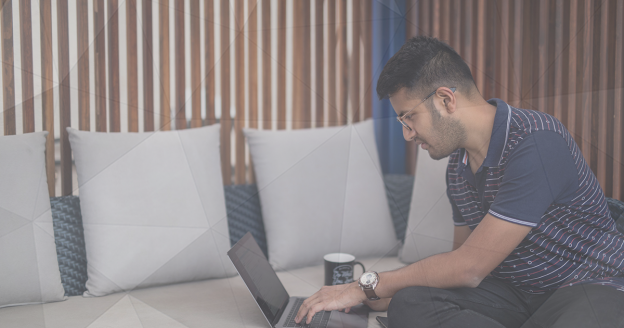 This kind of traders can also leverage their free time on weekends to analyse the market, study fundamentals and look for potential trading opportunities that might arise in the upcoming week. Day traders who use breakout, trend-following or counter-trend strategies will likely find that the trading costs on weekends are too high. Still, just like their swing and position-trading peers, day traders can use weekends to analyse the market for possible day-trading setups that might be triggered the next day. Scalpers are extremely sensitive to trading costs, as they’re opening a large number of trades during the day and aim for relatively small profits. That’s why they shouldn’t trade on weekends and look instead for more liquid trading hours. If you don’t have the time to trade on regular weekdays, look for swing and position trading strategies to get the most out of your weekends. Are There Any News Releases on the Weekend? Weekends are usually slow as most large market participants close their doors on Friday and reopen on Monday. Not only that, most commercial companies, banks, and hedge funds don’t work on Saturday and Sunday, but important government agencies that are responsible for country-related macro-statistics are also closed. This also means that weekends see a much smaller number of news releases compared to regular workdays. However, certain events that might happen on weekends, such as natural disasters, political developments, and important news can also have a significant market-moving effect. If a market opens with a gap to the upside or downside, this likely means that there were certain events over the weekend that affected the opening price. While trading on weekends could sound very attractive to traders who have a regular day job or are unable to trade on regular weekdays, there are also certain pitfalls that you need to be aware of. One of the most notable are the higher trading costs caused by the lower market liquidity. Also, not all markets can be traded on weekends. While the stock market is closed on Saturday and Sunday, traders can trade on currencies with the opening of the Sydney session on Sunday or on cryptocurrencies which never sleep.